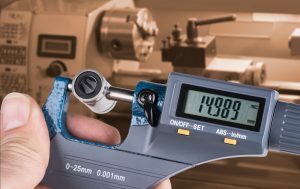 For over three decades, our team of qualified metrology experts have completed countless calibrations on multimeters for larger manufacturers like Boston Scientific and 3M as well as small producers throughout the country. We started out small, helping local manufacturers improve their precision and efficiency. With each project we focused on providing quick and accurate calibrations combined with kind and caring customer service. In time, we grew with our customers, building off one another’s successes and allowing us to offer our friendly Minnesotan service across the country. Choose from any of our five locations to receive the quality and responsive service your organization needs to keep production humming. Either ship your equipment to us or drop it off at one of our five state-of-the-art facilities for onsite calibration services. If you’re near one of our convenient locations, feel free to take advantage of our local pickup & delivery service. Our goal is to give you the precision you’re looking for without all the hassle. When it comes to multimeter calibration, you don’t have to settle for just any company near you. Choose the one you’re sure provides consistent accuracy, rapid turnarounds and the friendly and on-the-ball customer service that makes doing business hassle free. Request a quote today to learn more!